Yay! 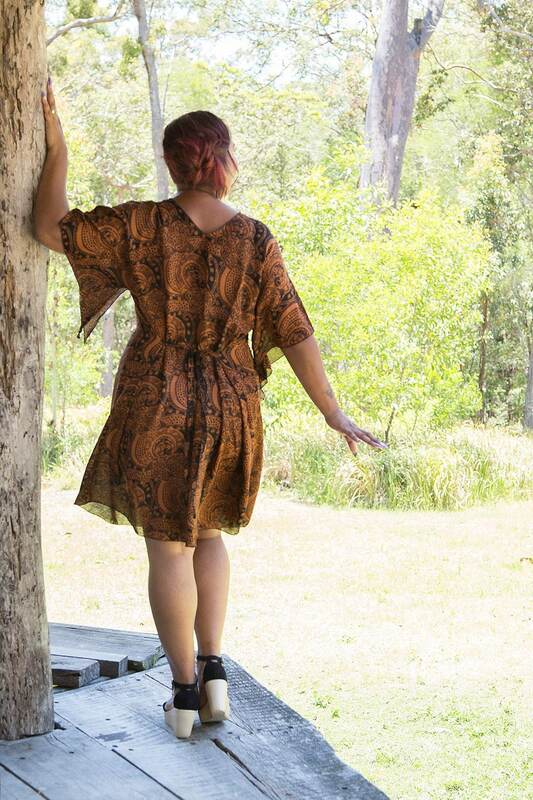 A summer dress that celebrates your curves! This breezy summer staple is an original Rin Kin Artwear design. 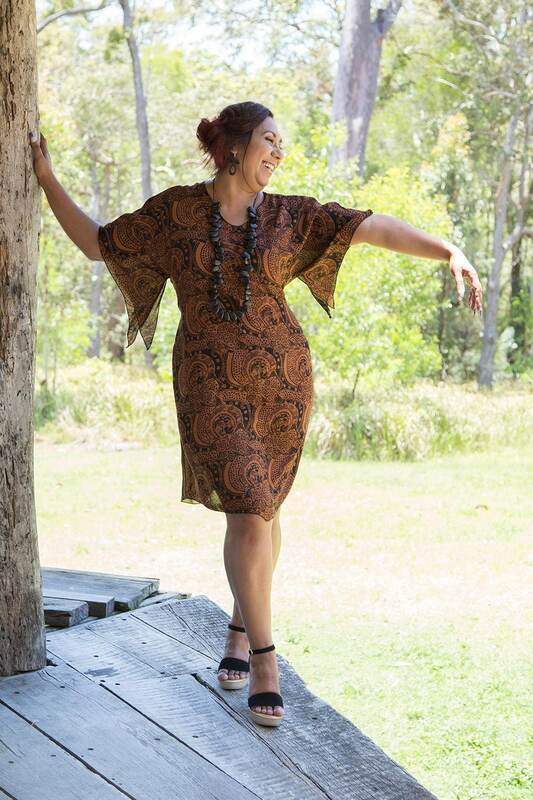 Shaped like a caftan, breezy and free-flowing, but has 2 ties at the waist that you knot to the back (or front) to bring it into your unique size and shape for an effortless fit. The elbow-length sleeves give great sun protection and the hemline dips both front and back to just cover the knees. 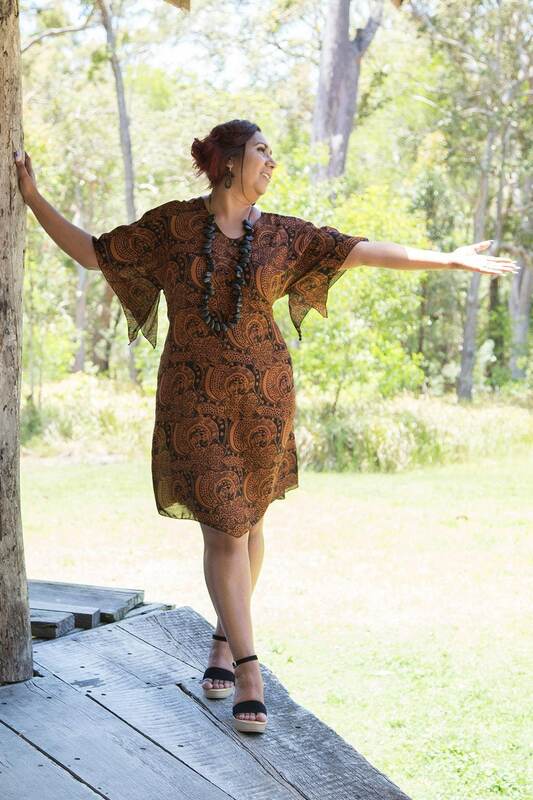 Made with a beautiful quality chiffon-weave rayon, known for its breathability and soft drape, that has been traditionally batik dyed in a striking collection of high-contrast colours to choose from. The wood pulp used in producing the rayon we use is sourced from sustainable wood plantations, and the batik artists use responsible dyeing practices. *This fabric 'drops' into final length over the first month of wearing and hanging, you can expect the length to increase by up to 5cm, but as the hemline is not straight, the overall look is not impacted, and the hemline still flatters, regardless. The Curvy Caftan comes in 2 sizes: Medium (8-14) and Large (16-20) See measurements, below for details. The table below contains the finished garment measurements. The ties at the waist will take care of any excess fabric, and is designed to have plenty of room around the hips to allow for the gathered effect at the back of the dress (or front if that is where you wish to tie it).